Having moved to the West for almost 2 years, I realized there are still many undiscovered places in the area. Nobiro Japanese Restaurant & Sake Bar is one of these places which I recently got to know. It is actually located in Faber Hill Estate, a quiet private residential area near Clementi. 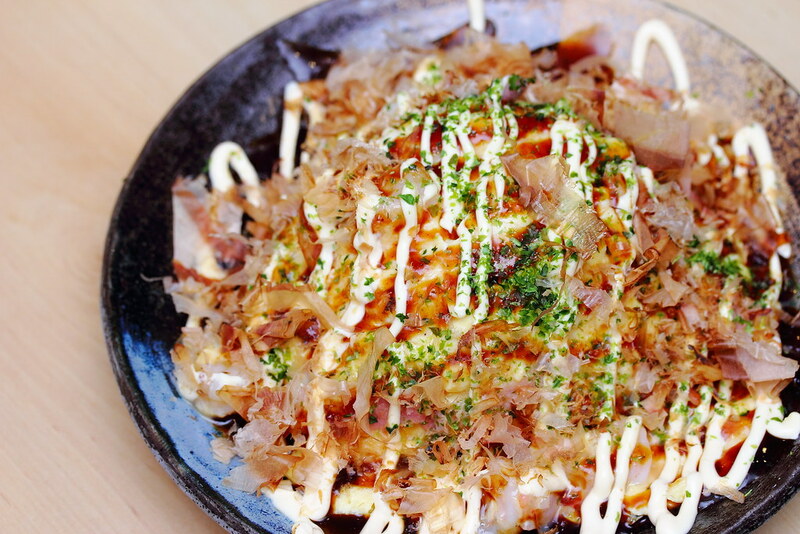 The neighbourhood Japanese restaurant is fashioned like an Izakaya place offering a full range of Japanese cuisine, as well as an extensive range of sake for purchase or in house dining. We started dinner on a light note with the Sashimi Salad Iwanori Tsumi ($16) served with Nori. 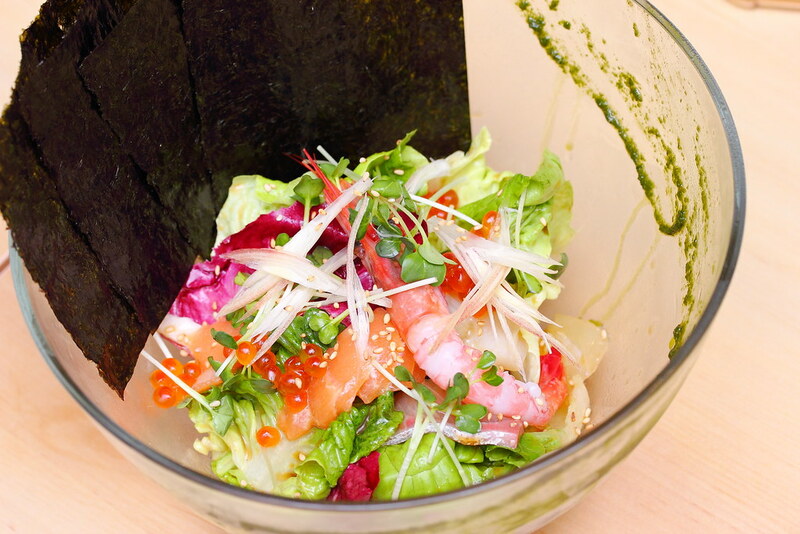 The mixed sashimi and greens salad can be eaten on its own or wrapped with the nori for a fuller enjoyment. 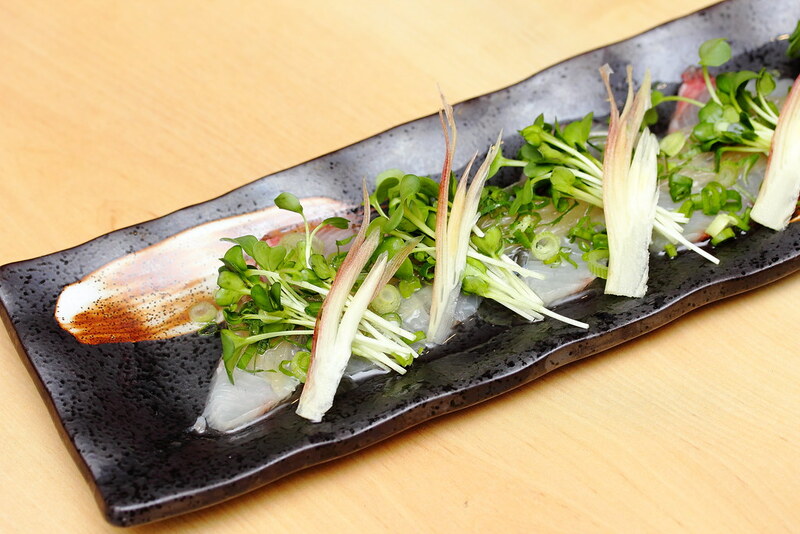 Next is the Sakana Marine ($18) which comes with seasonal sashimi served in the Chef's special marinade. If I am not wrong, we have the sea bream sashimi during my visit. The chef's marinade is light, yet flavourful but not overpowering. Allowing the clean and sweetness of the fish to shine. Oysters lover will be delighted in the various way of enjoying this delicacy, offered at Nobiro. My preferred way is to have it freshly shucked. 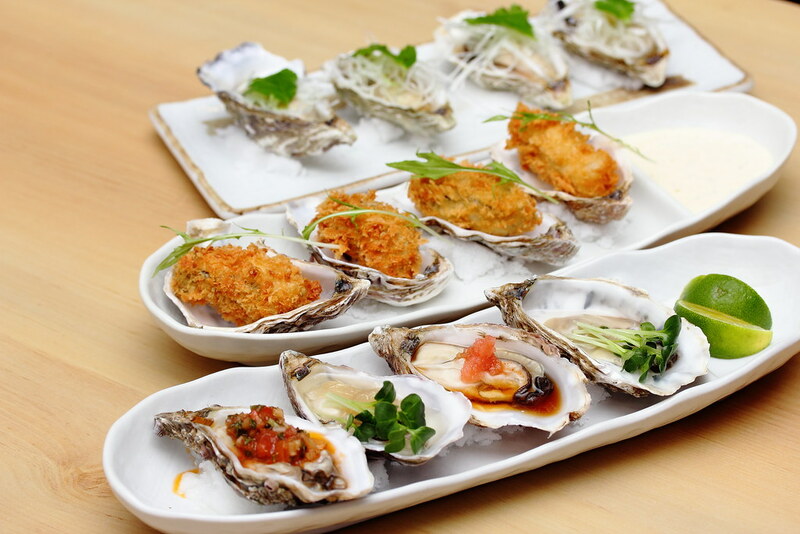 The Nama Kaki Yonshiki ($20) is fresh oysters served in four different ways, with the topping of onion, salsa, hint of pesto and ponzu with pink salt. I do understand some people do not like the raw taste of oyster, so you can go for the Fried Nama Kaki ($15) or Mushi Nama Kaki ($20) which is fried and steamed fresh oysters. 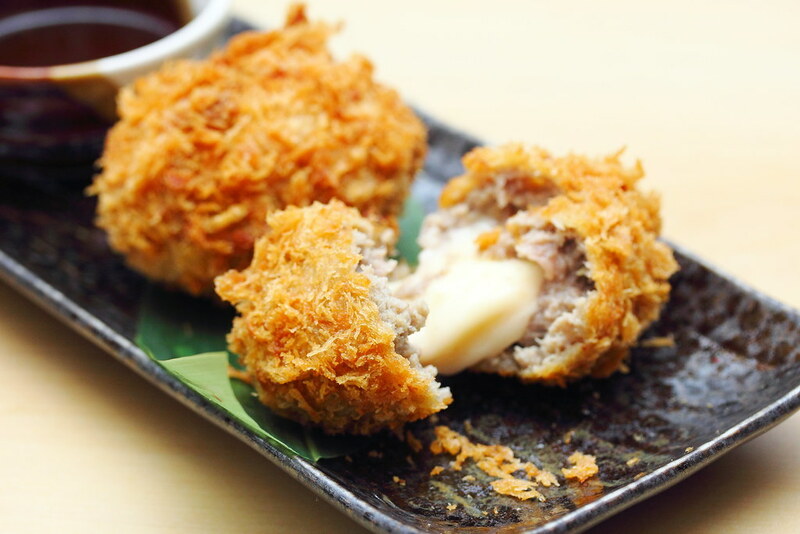 A delightful bite to go with the beer or sake is the Cheese Menchi Katsu ($16 for 2pc). The homemade beef patty has a surprise mozarella cheese stuffing in it. Crispy breaded exterior coupled with the cheesy interior, this is multifold enjoyment. 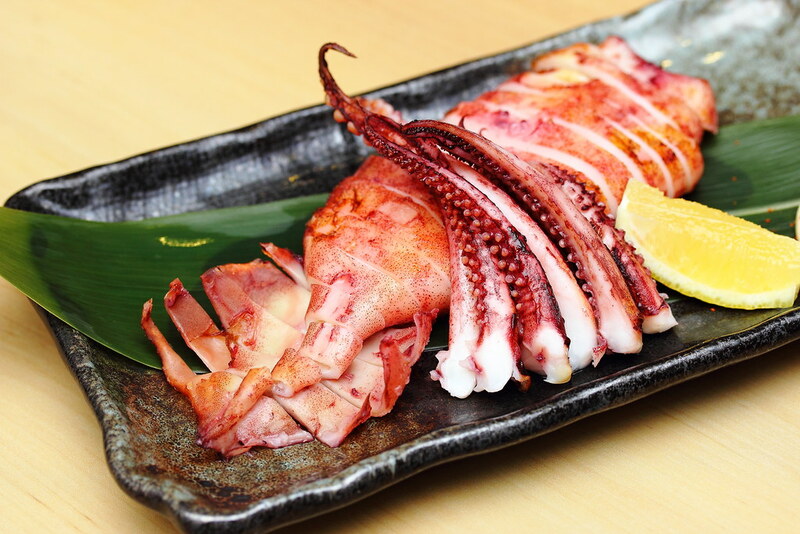 The Surume Ika Maruyaki ($15) or grilled squid is the one dish that I could help going back for more. I probably ate half of it myself, instead of sharing with my three other dining companion. The flavourful marination of the squid, perfectly grilled over the fire for a hint of smokiness and tender texture has totally won me over. I have mixed opinion of the Tonpei Yaki ($13) from the group. While most of them seemed to enjoy it, I thought it was rather average. However a worthy note goes to the runny omelette that is on top of the pile of cabbage. Maybe it was my high expectation but I thought the Mentaiko Pasta ($20) was sort of bland, missing the rich mentaiko flavour I was seeking in the pile of pasta. I also did not really enjoy the soft texture of the pasta. 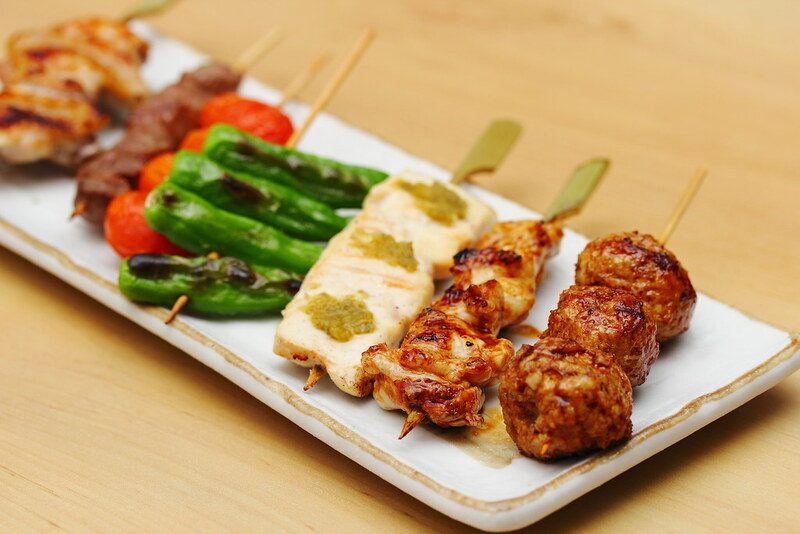 There are around 24 items on the yakitori menu. If you the type of person that cannot decides what to order, the simplest way is to go for their chef selection which comes in the form of 7, 12 and 15 sticks. We have the Chef Selection Set 7 Sticks ($23). 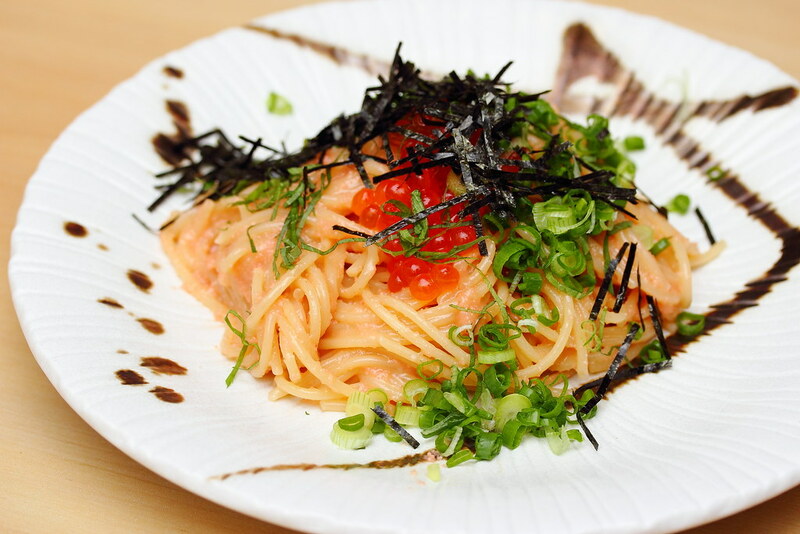 This is perfect to go with a glass of beer or sake. From the sushi bar, we had the Omakase Sushi ($30) which comprised of 6 different types of sushi. 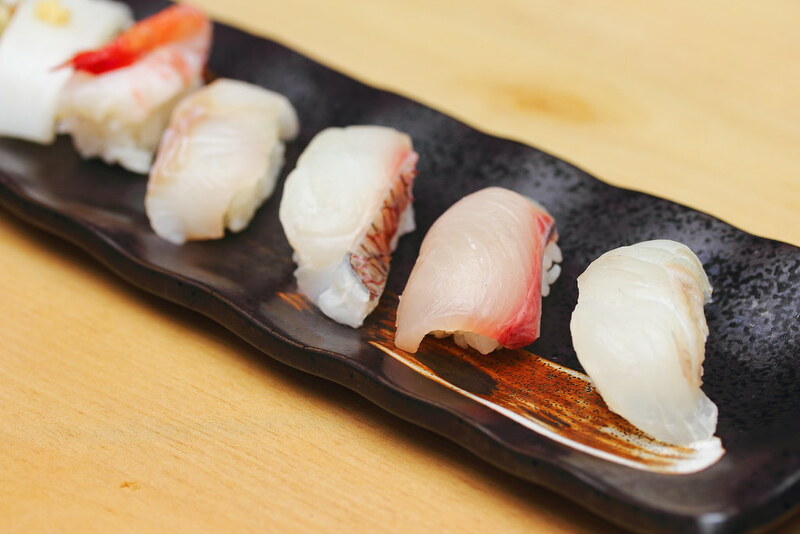 For the selection during our visit, the chef has given us the Amberjack, Sea Bream, Flounder, Sweet Shrimp, Squid and Fat Greening. 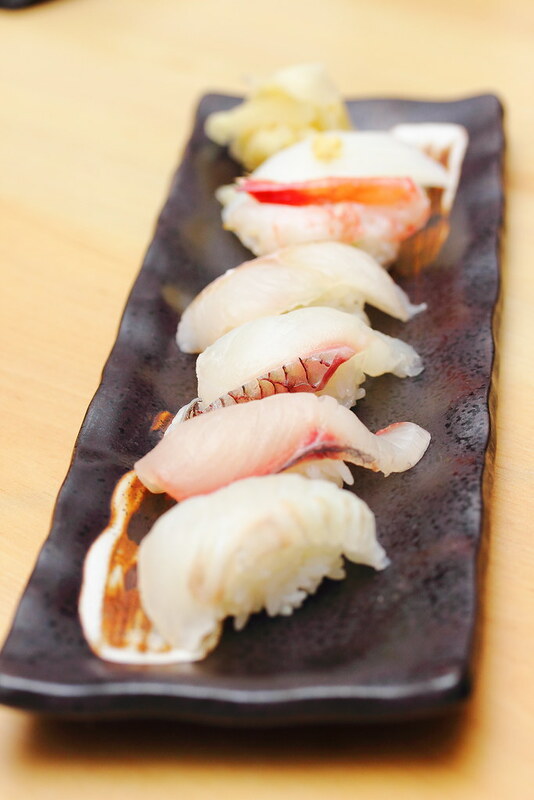 The proportion of the rice to sashimi is thoughtfully executed for a balanced mouthful enjoyment to appreciate the freshness to the fullest. 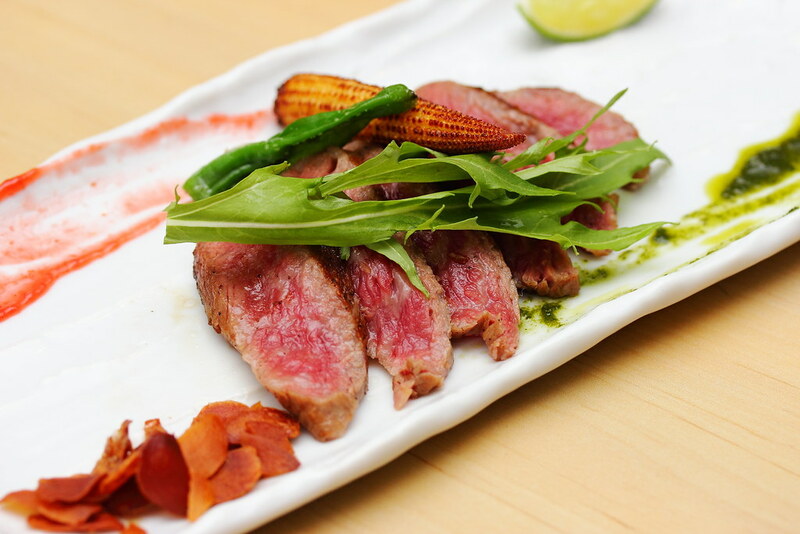 Nobiro maybe a neighbourhood Japanese restaurant but you still can enjoy quality and premium ingredients on the menu such as the Wagyu Tataki ($45) which uses Japanese wagyu beef A5 Ohmi from Shiga Prefecture. The full flavoured beef is lighted seared on the exterior, sealing the juiciness in it for a explosive burst of flavour as it dissolved on the palate. 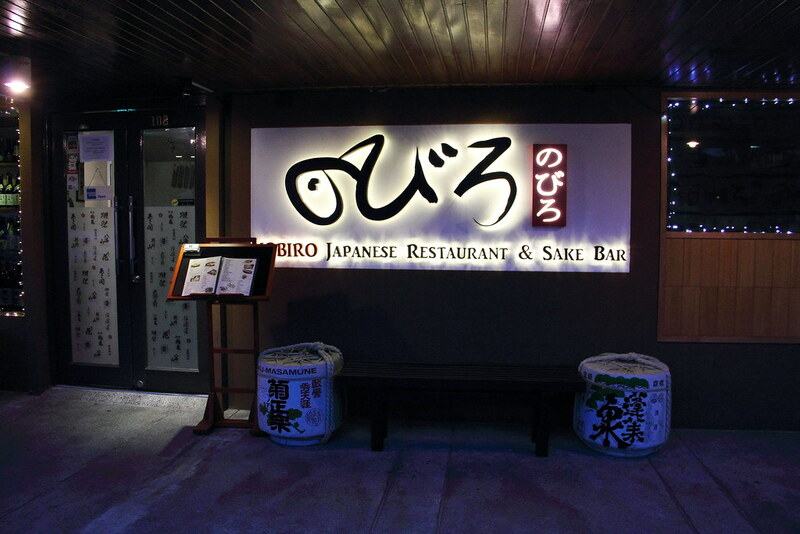 It is quite rare to have a Japanese restaurant hidden in a private residential estate. Being a neigbhourhood restaurant, it does not mean they do not serve quality ingredients. In fact, most of the dishes I tried is above average or even as good as many other Japanese restaurants. The sake bar also has an impressive collection of over 50 types of sake for purchase or dine in. What is even more worth it is their lunch set which is mostly below $20.